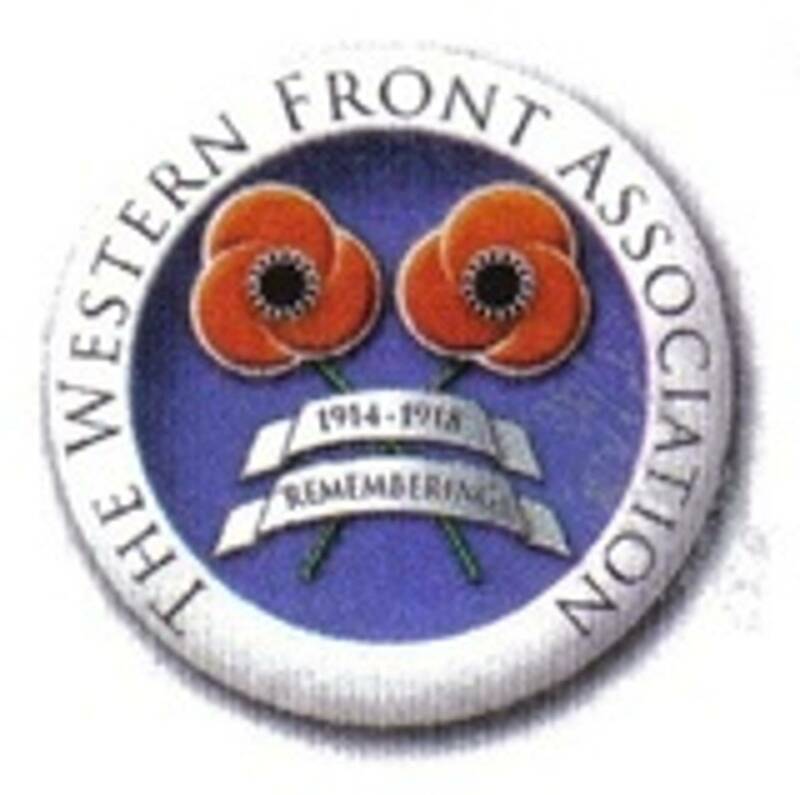 Branch Meeting, 21 September, 2013. William was born in Phibsborough, the son of Samuel and Annie Cromwell. He enlisted in Dublin and was originally in the Army Service Corps before being transferred to the Yorkshire Regiment. 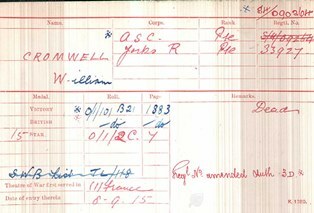 He landed in France on the 8 September, 1915, and served on the Western Front for just over three years before he was killed in action on 21 September, 1918. 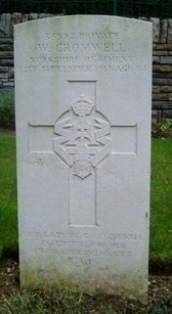 He is buried in the Montcornet Military Cemetery, in the Aisne Department of Picardy, and was entitled to the 1915 Star and the British War & Victory Medals. He left a wife, Bridget, who lived at 8 Healy Street, Dublin.